The information in this book is based on research and should not considered as a legal advice. We want you to be protected and want you to succeed without hiccups and so we did quite a bit of research on this topic to provide you some very useful suggestions. You need to consult a lawyer if you need legal advice related to your products. If you need copyright, trademark registration help then let us know and we will get one of our lawyers help you out. Simply put, copyright is a form of protection that gives you ownership over the things you create including literary, dramatic, musical, artistic, and certain other intellectual works. The protection is valid for both published and unpublished works. Public display or performance of work. Reproduce the entire work or parts of it. Distribute copies of the work. Derive works, such as translations or dramatizations. If you think the work you are going to use falls under public domain then you are good to go and can use it without any worries. Is it under creative commons? Creative Commons are form of licenses that people use to legally share their work with the public. There are six main licenses offered when someone choose to publish their work with creative commons license. Each license has its own restriction and its own terms of usage. So, as long as the license allows you to use the work commercially you are good to go. Is it possible to claim fair use? Fair Use is the concept that if you are doing something for the greater good of society, like teaching, then your needs supersede the ownership rights of the copyright holder under the Copyright Act. Teachers, and by association, students, can legally use music, websites, video, print, images, and the whole realm of copyrighted materials for the purposes of teaching. use a checklist similar to the one below to determine if your use can be considered as fair. Also, remember in case if a publisher believes you are infringing, fair use can only be determined by a court of law. How can I ask for permission if I want to? Poem · Single copy for teacher use. · One copy per student, provided material is brief, spontaneously copied, and meets the four fair use considerations. · Students and teachers may incorporate text into multimedia projects. · Multiple copies allowed of a complete poem, up to 250 words — no more than two printed pages. · Multiple copies of up to 250 words from longer poems. · Copyright and attribution provided · Copies used multiple times without permission, not to exceed nine occurrences per class term. · Copies made with the intent to avoid purchase of the selected work. Chapter of a book · Single copy for teacher use. · Copyright and attribution provided. 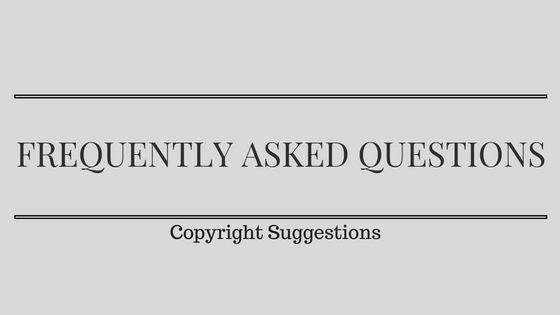 · Copies used multiple times without permission, not to exceed nine occurrences per class term. · Workbooks and consumables may not be copied. Prose, short story, web, newspaper, or magazine article · Single copy for teacher use. · Copies of complete work of less than 2,500 words and excerpts up to 1,000 words or 10% of work, whichever is less. · For works of 2,500-4,999 words, 500 words may be copied. · Copyright and attribution provided. · Copies used multiple times without permission. Artwork or graphic image · Five images, or fewer, of an artist/photographer in one program or printing and not more than 10% or 15% of images from published collective work, whichever is less. · Copyright and attribution provided. · Alteration of image into another form, for other than temporary purposes. Video · The material must be legitimately acquired or purchased by the school. · Must be for instructional classroom use, not entertainment. · Clips used in a multimedia presentation may be 10% or three minutes, whichever is less. · Copyright and attribution provided. · Multiple copies prohibited. · Alteration of video into another form, for other than temporary purposes. · The video must be a legitimate copy, not rented or bootleg. Music · Clips used in a multimedia presentation may be 10% of a composition. · Copyright and attribution provided. · Alteration of composition into another form, for other than temporary purposes. Broadcast television shows (not cable) · Single copy of broadcast may be made, but shown to multiple teachers. · Copy should be shown during the first ten days from air date, up to forty-five days after recording date. · PBS offers extended recording rights of up to one year on most programs. · May not be altered. · May not be recorded at the request of an administrator or district.